Microgreens are quite popular these days. They are larger than sprouts and smaller than baby greens, and new research has verified that they are packed with nutrients. Microgreens are easily grown year-round on a countertop or windowsill, even if the lighting situation is less than ideal for growing other plants. 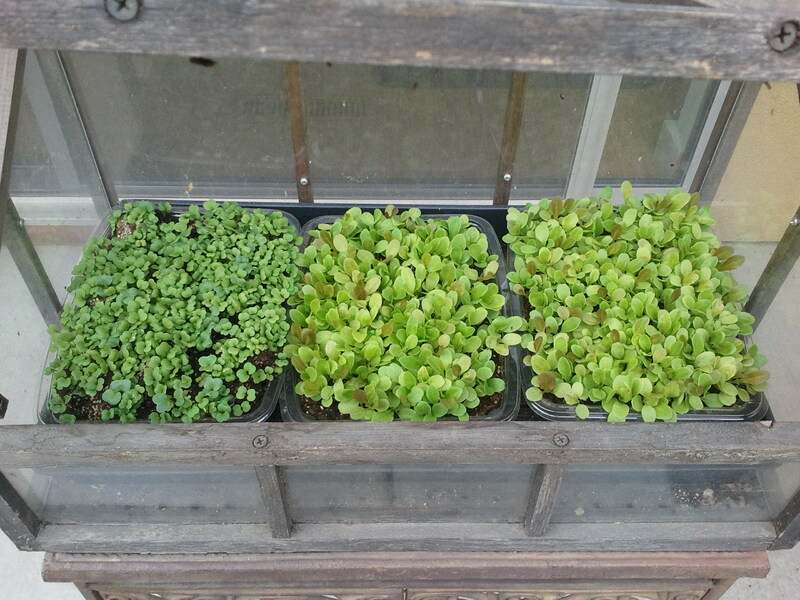 I am growing some now in clear, plastic, salad mix containers. I punched a few holes in the bottoms of the containers for drainage, filled them with moist potting soil, scattered seeds on top of the soil, covered the seeds with a bit more potting soil, and placed them outside in a small cold frame. I planted two with lettuce mix and one with radishes and arugula. The plants are ready to cut in a week or two and can be eaten in salads, sandwiches, stir-fries, etc. To be considered true microgreens, the plants should be harvested very young (up to 14 days old and about an inch tall). After they are harvested, they will need to be replanted – unlike baby greens and typical salad mix which will produce multiple harvests – because they will not be large to enough to recover from being chopped down. A wide variety of seeds can be grown as microgreens, including lettuces and other salad greens, brassicas (radishes, mustards, arugulas, etc. ), and herbs. You can select a pre-packaged lettuce mix, or you can make a special mix of your own. Microgreens are great for people who want to grow some of their own food but have little or no space for a traditional garden because they are easily grown in containers indoors. 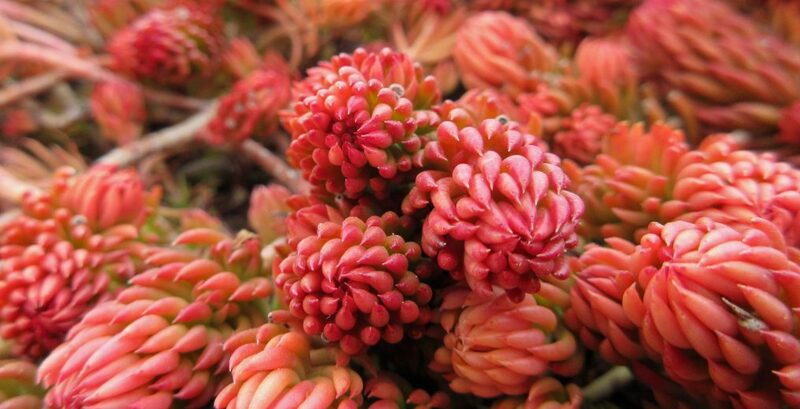 They can also be grown throughout the winter when outdoor gardens have been put to bed for the season. Learn more about growing microgreens at You Grow Girl and Organic Gardening. This entry was posted in Horticulture and Agriculture and tagged food, gardening, indoor gardening, microgreens, seed starting, seeds, winter. Bookmark the permalink.